If you're wondering why you would ever need to clean a machine that exists only to clean your clothes, you're not alone. Surprisingly, though, detergent residue clings to the agitator and wash tub, harboring bits of dirt and grime, especially above the water line. 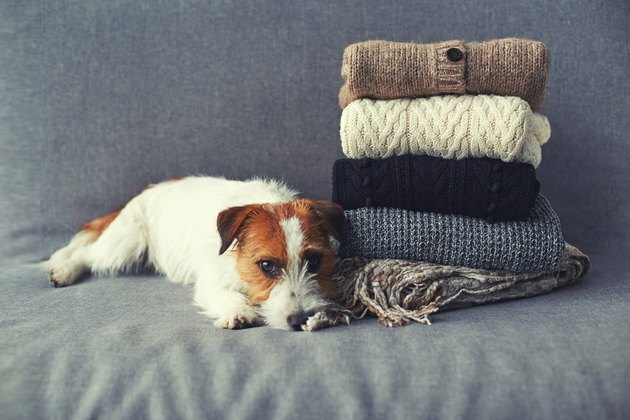 So, after laundering cloth diapers, muddy clothing, or bedding that was soiled by your sick dog (hey, we know it happens), your hard-working clothes washer will need some love. In fact, no matter what your typical laundry looks like, you should clean your washer once a month to keep it in top condition. 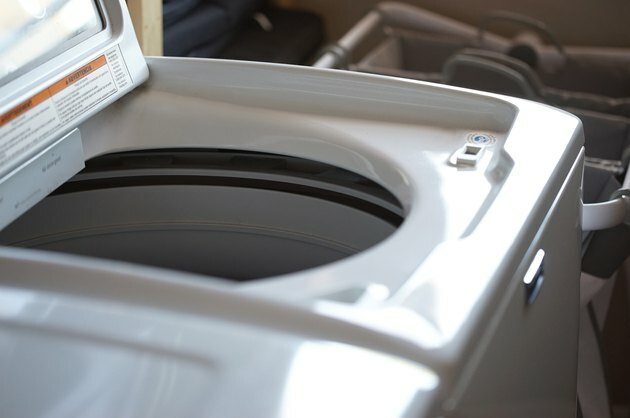 A top-loading washing machine requires different care than a front-loading machine. An owner's manual provides specific instructions for cleaning and removing the dispensers on your machine. If you don't have a manual, you usually can find a copy online by searching by the manufacturer's name and the model number of your machine. Some machines are built with a self-cleaning interior; however, most washers require this simple monthly maintenance. Wipe down the machine's top, front, and sides with a soft damp cloth. Damp is better than dripping wet, which turns dust to muck that's harder to remove. Use cotton swabs or a toothbrush to clean along the door hinge and around the knobs. Cotton swabs will grab dust, lint, and grime more readily than a toothbrush does. Also, wipe under the lid and the apron that supports it. If your detergent, bleach, and softener dispensers can be removed, snap them out and clean them using warm water and the cloth or toothbrush. Do not run the clothes washer without these parts in place. If your dispensers aren't removable, it might be easier to wipe them down after cleaning the interior wash tub because the steam will loosen the grime. Under the lid and above the water line requires special attention because the regular wash cycle doesn't clean that area. To clean the interior, you'll either run a "clean washer" cycle or a long wash cycle with hot water. In general, manufacturers recommend using either a specialized cleanser or bleach, but a natural alternative, using vinegar and baking soda, is also effective. However, when using vinegar and baking soda, after the wash cycle you will need to firmly scrub the entire agitator and interior with the microfiber cloth to remove residue. Also, note that bleach sanitizes a washer, but it does not remove lime scale. Before beginning, make sure clothing and other items have been removed from the wash tub. If you're using a specialized cleanser, place it at the bottom of the wash tub. If you're using bleach as an alternative to the cleanser, add 1 cup to the bleach dispenser. Close the lid and run the cycle. If you're using white vinegar and baking soda, begin the wash cycle so hot water fills the tub. As it fills, add four cups white vinegar and a half-cup of baking soda. Once the tub is filled and the agitator disperses the baking soda, stop the washer and allow the hot water to sit for one hour to loosen mineral deposits and grime. After an hour, complete the wash and rinse cycle. After the cycle is done, use a microfiber cloth to remove remaining residue from the interior and agitator, paying special attention to areas above the water line. Leave the lid open to completely dry the interior. Use the proper amount of detergent during everyday use. 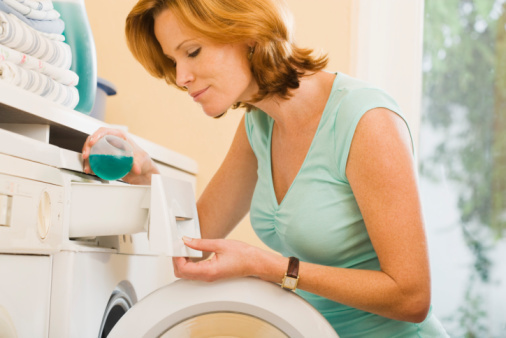 Excess detergent doesn't rinse out of the wash tub and it dries onto the surfaces. This gradual buildup of tacky detergent residue collects dirt and grime that looks bad and creates an odor. Use hot and warm water settings instead of relying solely on cold water washes. The warmer water breaks down accumulating residue. Leave your lid open after use so that the washer tub dries completely. A well-maintained washing machine will provide many years of reliable service.